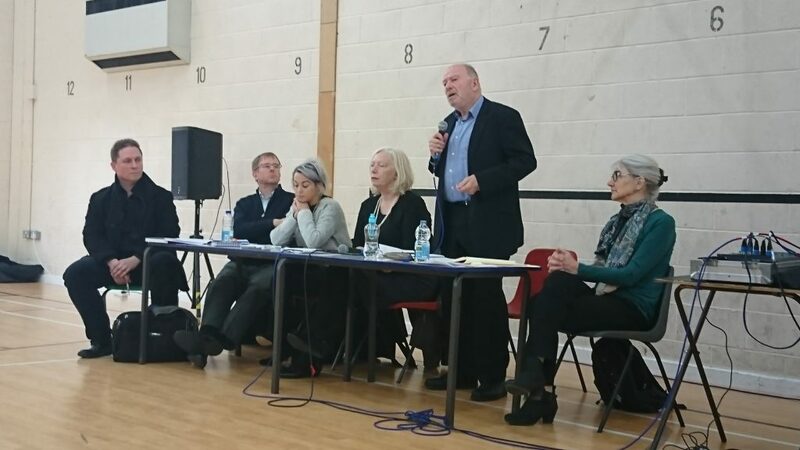 Labour Party Candidate for Lydiard & Freshbrook, Neil Hopkins, has thanked all residents who attended the Lydiard Public Meeting on the 11th March. Neil Hopkins, Labour’s Lydiard & Freshbrook Ward Candidate. David Barnard, Friends of Lydiard member & Chair of the Love Lydiard Trust. Gina Akers, Great Granddaughter of Francis Akers, who gifted the Lydiard estate to Swindon Council. Cllr Keith Williams, Conservative Cabinet Member for Lydiard. Cllr Jane Milner-Barry, Labour Shadow Lead for Lydiard. At the meeting residents asked questions about why the Council had changed their position on transferring Lydiard to an outside bidder, why they had left Lydiard House to be left run down with a maintenance cost of around £5m, where the parking charges at Lydiard had been spent, and why the Council had so badly failed to attract new income to the park and house and had allowed the Lydiard Conference Centre to close. “I would like to thank everybody who attended the public meeting on the future of Lydiard. I appreciate the meeting was on Mother’s Day so people were busy so I’m grateful they took the time to air their views on this treasured heritage asset. I am also particularly grateful to the speakers, including David, Gina, Jane and Keith Williams, for addressing the audience’s questions. I had invited Keith to the meeting as a speaker as I wanted it to be a balanced meeting and I think everybody came out feeling like they were able to speak. The highlight of the meeting was where Keith committed to resigning if the Council transferred Lydiard out of the public sector. A curious commitment given that is the position he was supporting only a year ago.